The Beech Mountain Bark Park was spear headed by a couple of our local resident 'puppy moms' a couple of years ago. Nancy Brunzos and Jill Ezell started talking to the powers that be at Town of Beech Mountain, Beech Mountain Club members, friends, family, other dog owners, residents and businesses. The efforts of Nancy and Jill, along with their recruits, were well paid by establishing the park on property donated and maintained by the Town. 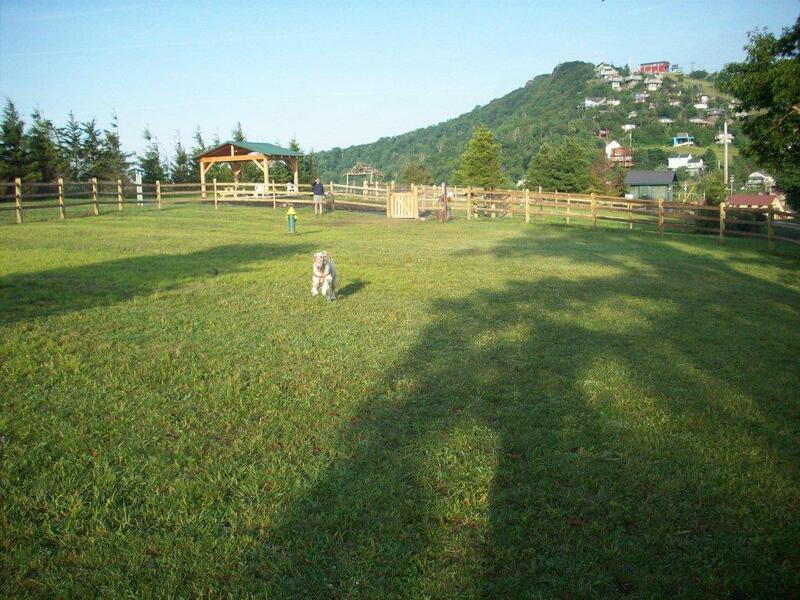 Funds were raised to create two fenced areas...one for small dogs and one for large dogs. There is water and bags for cleaning up after the dogs, as well as a pavilion, walking track around the fenced areas, an arbor entrance and a sculpture of a dog. Many private dollars and man hours were invested by many people to establish the park as it is today. Whether it is summer or winter, the dogs love to run and play and the owners are very appreciative to have a place to let them have that opportunity. Access to the park is across from Town Hall down the gravel road between The Famous Brick Oven Pizzeria and Action Realty. For more information on the park or to donate for its continued improvement and maintenance, please contact Nancy Brunzos at soznurb@aol.com.